PISCATAWAY, N.J., Oct. 27 /CSRwire/ - Solidia Technologies® announced today that OGCI Climate Investments has made in an investment in the company to support the adoption of Solidia’s patented cement and concrete technology using CO2. Solidia’s technologies start with sustainable Solidia Cement™ and cure Solidia Concrete™ with CO2 instead of water, reducing carbon emissions up to 70 percent and recycling 60-80 percent of the water used in production. Targeting the estimated US$1 trillion concrete and US$300 billion cement markets, Solidia’s processes offer manufacturers significant cost savings compared to water-based curing of conventional cement based on faster curing times, lower energy and raw material consumption, reduced waste generation, and reduced labor requirements. Based in Piscataway, N.J. (USA), Solidia’s investors include Kleiner Perkins Caufield & Byers, Bright Capital, BASF, BP, LafargeHolcim, Total Energy Ventures, Bill Joy and other private investors. Honors include: 2017 ERA Grand Challenge (formerly CCEMC) Second Round Finalist; 2016 Sustainia 100; 2015 NJBiz Business of the Year; 2014 Global Cleantech 100; 2013 R&D Top 100; 2014 Best Place to Work in NJ; 2014 CCEMC Grand Challenge First Round finalist; 2013 Katerva Award finalist; and MIT’s Climate CoLab shortlist. Follow Solidia at www.solidiatech.com and on LinkedIn, YouTube and Twitter: @SolidiaCO2. Solidia Technologies® is a cement and concrete technology company that makes it easy and profitable to use CO2 to create superior and sustainable building materials. 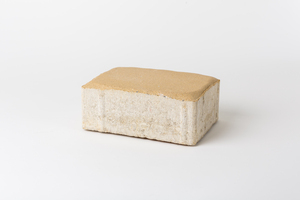 Solidia’s patented processes start with a sustainable cement, cure concrete with CO2 instead of water, reduce the carbon footprint of cement and concrete up to 70%, and recycle 60 to 80% of the water used in production. Using the same raw materials and existing equipment as traditional concretes, the resulting CO2-cured concrete products are higher performing, cost less to produce, and cure in less than 24 hours. Based in Piscataway, N.J. (USA), Solidia’s investors include Kleiner Perkins Caufield & Byers, Bright Capital, BASF, BP, LafargeHolcim, Total Energy Ventures, Bill Joy and other private investors. Follow Solidia Technologies at www.solidiatech.com and on LinkedIn, YouTube and Twitter: @SolidiaCO2. The Oil and Gas Climate Initiative (OGCI) is a CEO-led initiative which aims to show sector leadership in the response to climate change. OGCI is made up of ten oil and gas companies that collaborate on action to reduce greenhouse gas emissions. Combined, OGCI members produce over one-fifth of global oil and gas production and over 10% of energy supply. In November 2016, OGCI launched OGCI Climate Investments (OGCI CI). Now established as a company, OGCI CI will invest $1 billion dollars over ten years to support start-ups and help develop and demonstrate innovative technologies that have the potential to reduce greenhouse gas emissions significantly. To learn more about OGCI, please visit www.oilandgasclimateinitiative.com/.